There are many fish around the world with bass in the name, but the fish we’re looking at here is the European sea bass or Dicentratus labrax. It’s caught off all coasts from Norway and the Baltic round to the Black Sea and also off the west coast of Africa, but nowhere else in the world, although the American striped bass is a close cousin. 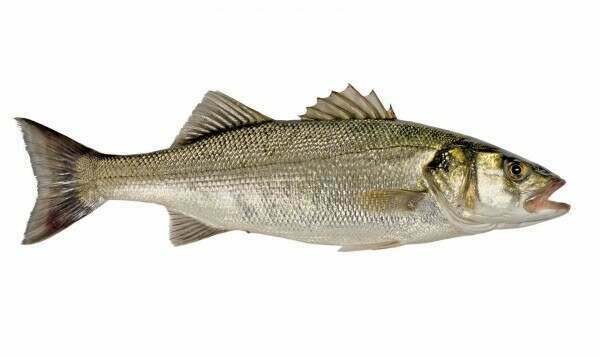 This is a coastal fish, often found in estuaries. It has a wide diet including smaller fish of its own species. Sea bass has an attractive silvery skin with seriously hard scales which need to be removed before cooking. It also has some meaningful spines and razor sharp gill covers which can give you a bit of sting. The flesh is a dull white, which cooks to brilliant white like cod. 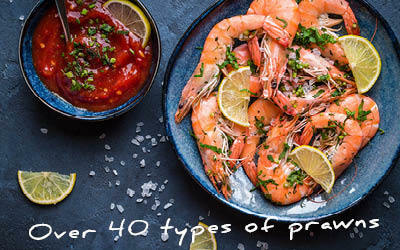 You wouldn’t notice at first glance, but sea bass is quite fatty compared with other white fish, sitting halfway between cod (essentially zero fat) and salmon. 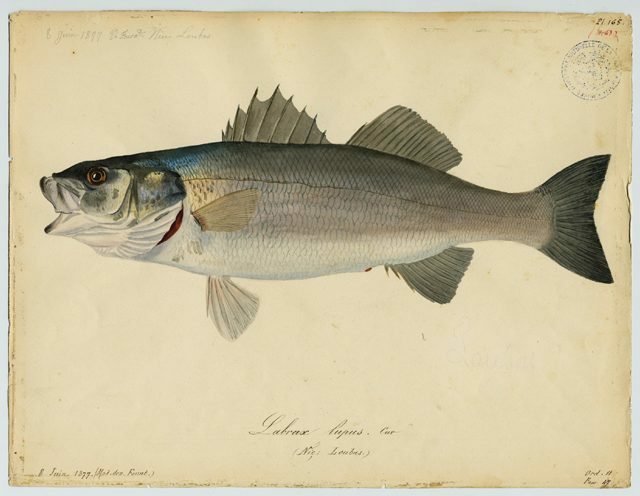 The largest sea bass on sporting records measured one metre and weighed 10 kgs. In the trade, a fish of six kilos would be regarded as XXL. Farmed fish however are not grown to this size. All fish become less efficient at converting food to muscle as they mature. They are generally harvested at 400-800g. The standard supermarket size for a sea bass fillet is 90g. That's a pretty small fillet. The stock of wild sea bass in European waters has fallen significantly over the last 10 years. Measures to restrict fishing were introduced about five years ago and have been made more severe every year. Targeted fishing for sea bass using nets is now effectively banned. In 2018, the catch limit for fishing boats using hooks and lines was halved to five tonnes annually. 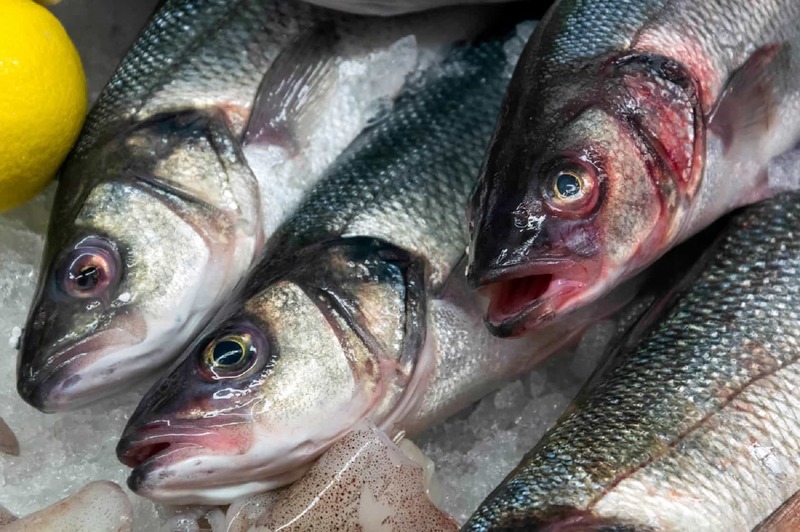 The Marine Conservation Society rates wild sea bass as a fish to avoid. Nor is the Marine Conservation Society too happy with Greek and Turkish sea bass. These fish farms grew at a furious rate over the last 20 years with little regulation. The MCS suspects that all the downsides of fish farming such as disease, escapes of farmed fish into the wild and pollution of the sea bed are present in these farms. However, as the industry matures and seeks to maintain growth, Greek and and Turkish farms are increasingly keen to improve their management techniques in order to win certification from global standards bodies such as GlobalG.A.P. A gorgeous painting from the Muséum d'Histoire Naturelle de Nice.